Height: Varies with conditions, to about 60 cm. Season of bloom: Late spring to summer. Growing Conditions: Sun or shade. Grows in rock crevises and in ordinary garden soil. Wildlife benefits: Pollinated by hummingbirds and large bumblebees. Similar species: There is only one species of Columbine native to eastern North America and it is this one, Aquilegia canadensis. 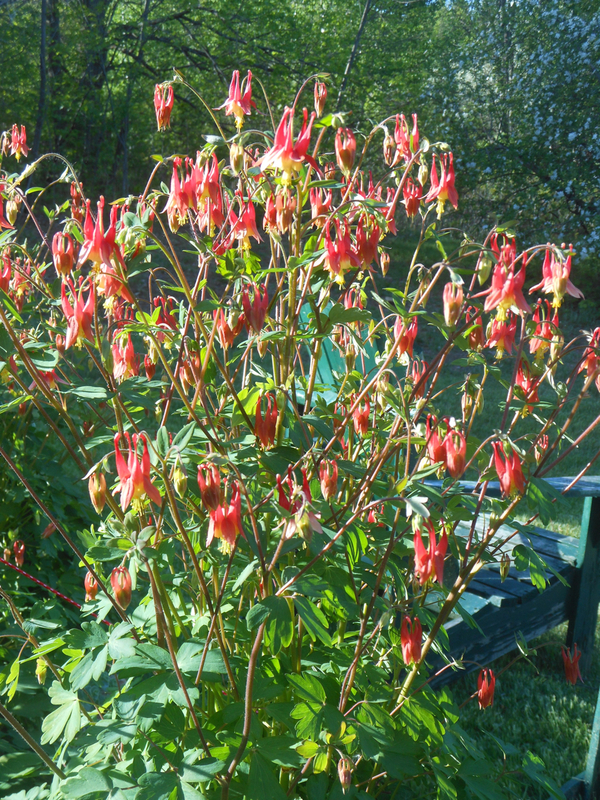 Beaux Arbres sometimes has smaller Columbines, for alpine gardens or troughs: Rocky Mountain Columbine, and a dwarf, garden selection of the native.